So . . . I’m in Houston! And so far I’ve been having a wonderful time in Texas. I haven’t actually done all that much yet, primarily I’ve been riding on the back of my cousin’s scooter to bookstores and coffee shops. I really missed reading in Australia, especially because when I am in Portland I regularly go to the library, check out five novels and then read them over cheap Thai food. I now associate romance novels with Pad See Eew noodles. Yum! 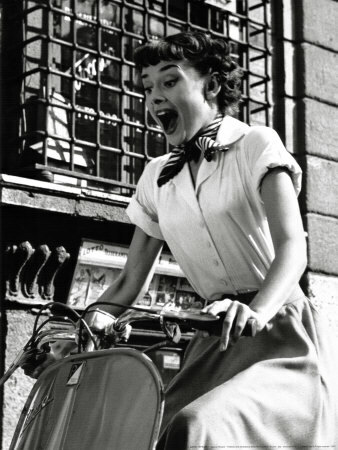 But recently I associate everything with hopping on a scooter since that is Abbie’s preferred method of traveling. 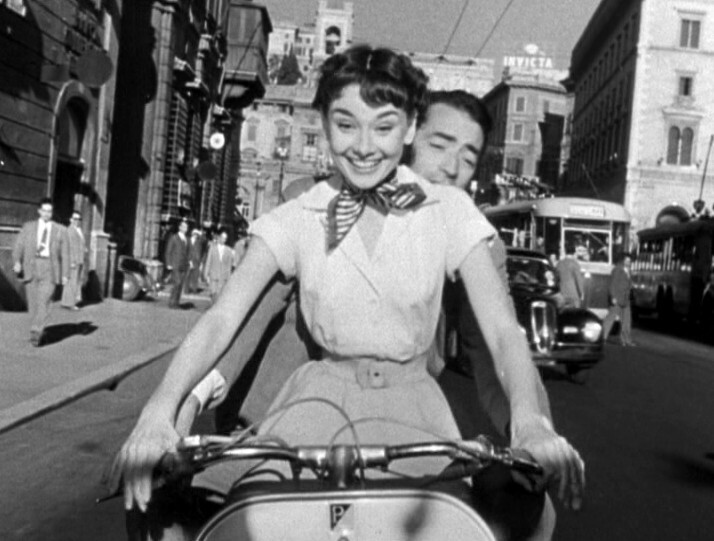 At times this makes me feel Audrey Hepburn in Roman Holiday. My cousin has not let me drive yet. But that slightly manic grin looks identical to mine. 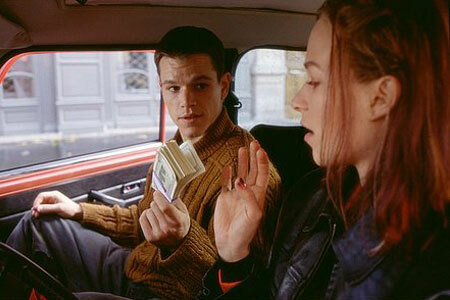 When I do not feel like Audrey Hepburn, however, I feel like the Random Girl from Bourne Identity. I’m sure she has a name, but let’s be honest: no one really cares what her name is since she’s only in the first movie before she winds up dead. Her role is just to look hot and play Jason’s love interest while he tries to discover himself. Yawn. I think it would have been great if she had asked him for a few minutes in a bookstore. Given all the time they spend using various means of transportation, a good book would have come in handy . . . I’m just saying. Back to my point. Sometimes on the scooter it feels like we are in a massive chase scene as we speed down long stretches of highway with the wind slamming against my face. It’s a lot of fun. Then we hit a small pothole and I clutch even tighter to my cousin and do my very best not to “Eeeep!” shrilly in her ear. Since I have always (not so secretly) wanted to be a badass, I’ve been having a great time seeing Houston this way. I just haven’t done too much writing lately. As in . . . virtually no writing lately. And I’d be tempted to say “time to buckle down, Marni!” in my most serious you’re-in-big-trouble voice except . . . Meg Cabot’s book ABANDON comes out in stores today. I’m not going to be sleeping tonight! Seriously, I do not know how to quit reading a good book. It’s so hard for me to “find a good stopping place” the way that my Grandma suggests when she catches me sitting in the bathroom at 2am during family vacations. I only know of one good stopping place. The end. But this means that I’ll blog about it quickly and then I’ll get to work.